Chiropractic care at Absolute Wellness Center is centered on evidenced-based treatments. Dr. Michael Herb is a chiropractic sports physician and Dr. Brandon Beckerman is a chiropractic physician. Both stay up-to-date on the latest research and clinical trials with the goal of helping patients heal as quickly and safely as possible. Each patient has unique wellness needs. During the initial diagnostic meeting, Dr. Herb and Dr. Beckerman each work closely with their patient to identify and explain not just current symptoms, but also the underlying cause for pain and injury. Similarly, our physicians and the whole Absolute Wellness team focus on treatment of not only the pain symptoms, but also the causes. Many patients come to Absolute Wellness Center feeling frustrated and overwhelmed by pain. Traditional treatments, including medication, have failed to deliver long-lasting results and are causing unwanted side effects. Other patients may be struggling with painful complications following unsuccessful back surgery. We understand these challenges and have a proven track record of getting patients back on the road to good health. Chiropractic adjustments are a successful treatment for numerous traumatic injuries, including sports injuries, car accident injuries, and workers compensation injuries. Chiropractic adjustments can also be highly effective for long-term pain management after musculoskeletal injuries sustained more slowly, such as those due to natural wear and tear over time, or improper workplace ergonomics. Spinal adjustments are a gentle, safe and effective treatment that naturally creates space in the spine. For instance, if a spinal disc slips out of position, it may compress nearby nerves, causing chronic pain not only in the injured area, but also in the legs, buttocks, lower back, shoulders, or neck. In these cases, Dr. Herb or Dr. Beckerman may recommend spinal decompression therapy. This treatment is highly effective for chronic back or neck pain caused by a car accident injury or herniated disc. 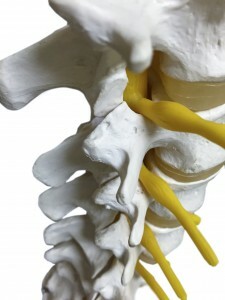 By creating space in the spine, compressed discs are able to return to their proper position. This relieves pressure on the nerves and provides long-lasting pain relief. Chiropractic care and spinal decompression therapy work because these treatments correct the mechanical misalignment causing pain. Fun Fact: Former Oregon Governor John Kitzhaber, who is also a Medical Doctor, proclaimed October Oregon Chiropractic Health and Wellness Month! There are some interesting reasons and statistics on why he thinks Oregon, specifically, needs more chiropractic care. To read the proclamation: Oregon and Chiropractic. If you would like to schedule an exam or learn more about whether chiropractic care or any of our other services would benefit you, please call our office at 541-484-5777! You can also learn more about each of our chiropractic physicians on their pages: Dr. Michael Herb and Dr. Brandon Beckerman. 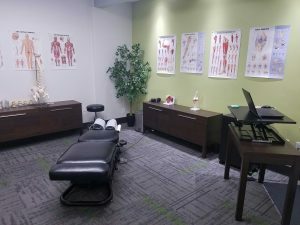 If you aren’t sure whether chiropractic care is the correct treatment for your injury, we are happy to talk with you and, whenever appropriate, help you find another provider or specialty in the area. Chiropractic care is a scientifically proven, evidence-based, non-invasive treatment option for drug-free pain management and injury rehabilitation. Unfortunately, despite chiropractic care’s important health benefits, misinformation continues to make this confusing. 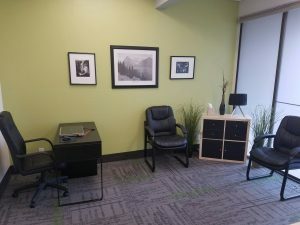 Our wellness center is committed to educating patients about their different care choices and empowering them to make the best choice for their bodies. Below, Dr. Michael Herb answers five of the most common chiropractic care myths and frequently asked questions. Truth: Scientific research data does not link cervical spine manipulation to an increased risk for vertebrobasilar artery (VBA) stroke. 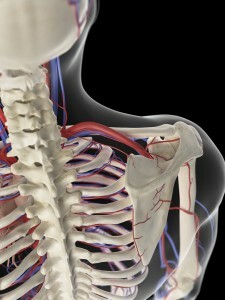 Currently, the incidence rate for VBA complications is approximately 1 per 5.85 million cervical spinal manipulations. According to a 2008 meta analysis studying nine years’ worth of data and published in the medical journal Spine, the likelihood of experiencing a VBA stroke after cervical spine manipulation is no greater than the likelihood of experiencing a VBA stroke after visiting one’s family doctor for neck pain. Truth: Our chiropractic center works closely with a patient’s other physicians to develop a conservative and effective treatment plan. For acute mechanical conditions, our chiropractor will typically see a new patient one to two times. Many of these conditions require little in-office care and can effectively be treated at home. For chronic conditions, patients typically have a few in-office visits over a two to four week period. During that time, patients are educated on the causes of their symptoms and taught ways to prevent re-occurrence. Our success is based on keeping you from needing us. Per a patient’s request, we are happy to coordinate all care with their other physicians. Truth: The majority of our patients visit for pain; once the pain is gone, ongoing care is not necessary. We treat our patients based on their chief complaint and associated symptoms. If chiropractic care is appropriate, treatment will focus on resolving your complaints as quickly and efficiently as possible, minimizing in-office procedures. For many patients, their pain problems are corrected within very few treatment sessions. While ongoing care can be beneficial for some patients, there is never any pressure. Truth: Our chiropractic center treats a variety of musculoskeletal pain and injuries. Chiropractic physicians are trained to treat mechanical and orthopedic conditions associated with musculoskeletal problems throughout the body. These conditions range from tension headaches and ankle sprains to lateral epicondylitis and back pain. Truth: Scientific studies repeatedly demonstrate the effectiveness of chiropractic treatments. 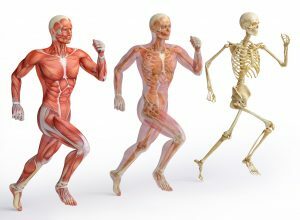 From the National Institutes of Health to the British Journal of General Practice, and the medical journal Spine, scientific research studies from around the world show that chiropractic care for many injuries and painful conditions are far more effective than NSAIDs, pain medication, and of course placebos. Chiropractic care is safe, effective, scientific, and patient-focused. To learn more about your treatment options, contact our office 541-484-5777.